On January 17th, 2012, brokerage agency of Jung Il Woo published the behind the scene photos of Jung Il Woo when filming the MBC Wednesday and Thursday drama The Moon that Embraces the Sun on the official Twitter account. In the photo, he was wearing hanbok with a classical hat, waiting for his filming to start. His fair skin and thick black eyebrows, look exactly like an ancient prince. Netizens said one after another, “So suitable to wear hanbok,” “really looking forward to the adult actors,” “how I look at it he is the cast to play the prince,” and so on, response was enthusiastic. 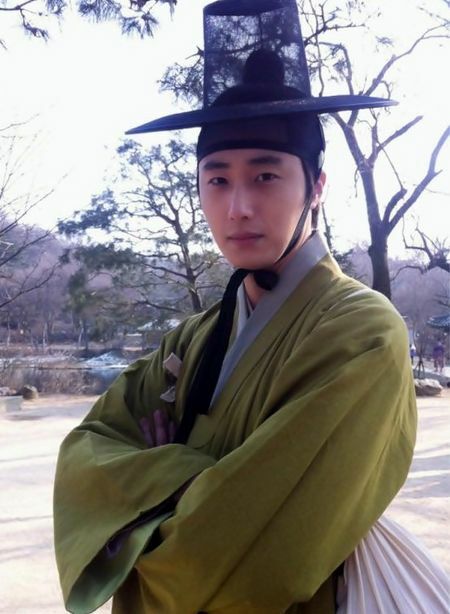 Jung Il Woo debuts on episode 6 of The Moon that Embraces the Sun broadcast on January 19th, 2012.